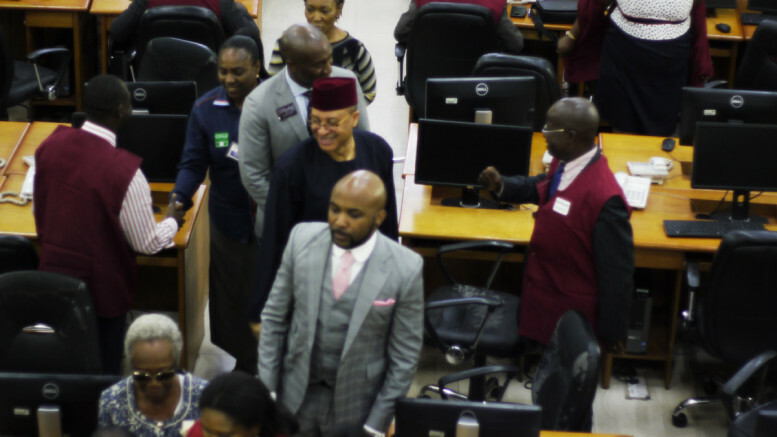 The Nigerian Stock Exchange market capitalisation appreciated by N212bn at the close of trading on the Exchange’s floor on Thursday. PZ Cussons Nigeria Plc, Diamond bank Plc, United Bank for Africa Plc, Cadbury Nigeria Plc and Stanbic IBTC Holdings Plc emerged as the top five gainers. The NSE capitalisation rose to N11.5044tn from N11.292tn, as the All-Share Index closed at 33,269.84 basis points from 32,657.30 basis points. A total of 439.229 million shares valued at N4.806bn exchanged hands in 4,594 deals. The market closed positive for the second day in a row, as the ASI advanced by 1.88 per cent, topping the prior day’s performance, to push the year-to-date return to 23.80 per cent. There were 37 gainers and 17 losers. PZ topped the gainers’ list, advancing by 9.90 per cent, to close at N22.97from N20.90. Diamond Bank rose by N0.10 (8.33 per cent) to close at N1.30 from N1.20. The share price of UBA gained N0.47 (5.22 per cent) to close at N9.47 from N9, while Cadbury shares appreciated by N0.65 (five per cent) to close at N13.65 from N13. Stanbic IBTC shares gained N1.54 (4.98 per cent) to close at N32.44 from N30.90. Meanwhile, May & Baker Nigeria Plc shares topped the losers’ chart, to close at N4.29 after depreciating by 4.88 per cent. On the top five losers’ chart were also Livestock Feeds Plc, Skye Bank Plc, Trans-National Express Plc and Jaiz Bank Plc, which depreciated by 4.76 per cent, 4.69 per cent, 4.60 per cent and 4.29 per cent, accordingly. The NSE industry index recorded the highest gain of 2.26 per cent, followed by the NSE foof/beverage (1.63 per cent), NSE banking (1.52 per cent) and NSE oil/gas (1.20 per cent) and NSE insurance (0.20 per cent) indices, respectively. 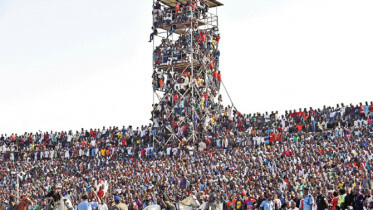 Commenting on the state of the market, analysts at Meristem Securities Limited, in the firm’s daily market post, said, “We posit that the day’s performance was as a result of the positive sentiments that have pervaded the market in recent times, as investors look to key in on stocks that had shed some value in the past week. Be the first to comment on "Stocks Gain N212bn, PZ, Diamond Bank, UBA Lead"